The bushfire disaster that wreaked havoc and devastation across Victoria on February 7 has been unprecedented in our lifetime. The scale of the damage and the subsequent program to recover communities and get lives back on track has also been something never before faced by our emergency services. The massive task of geographic information management and its use in the field is in full swing. 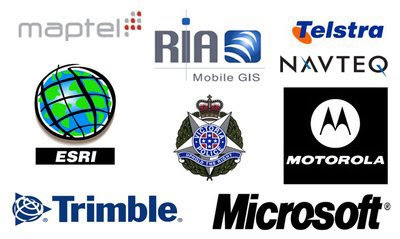 Maptel is currently assisting Victorian Police Search and Rescue with their field GIS tasks, and Elvin has brought together many of our partner organizations to provide aid and assistance to the disaster recovery. ESRI, Trimble, Motorola, Telstra, Navteq and Microsoft have contributed already and we have hardware, software, data and support in the field now. Now that the immediate fire emergency has passed in the majority of areas, the field GIS needs and requirements of the situation have grown and developed, and we are working to encourage the cooperation between our partner organizations and the emergency services tasked to deal with this horrific event. As part of the program, Maptel, with technical assistance from RIA MobileGIS, is working in close cooperation with the Victoria Police and has developed and rolled out an electronic field data capture methodology to replace the current paper based format. 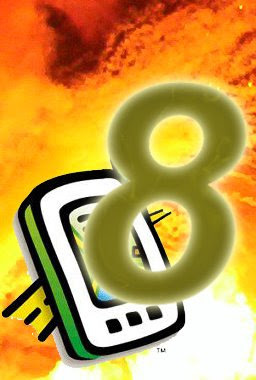 Utilizing the many benefits and features of ArcPad 8.0, the custom application is allowing search officers in the field the freedom to capture data and log findings in real time using ArcPad 8.0's server synchronization capabilities using the device modem via the mobile phone network. The search status is being updated on a server in real time at VicPol Water Police headquarters in Williamstown Victoria - 75kms away! As a result, the need to carry reams of paper and repeatedly write the same data, such as their name and police number, time and again has been removed. Officers involved in the current trial have no previous GIS experience but have been trained, in the field, in the use of mobile devices, ArcPad 8.0 and the custom application. The logical workflow of the applet combined with the ease of use for ArcPad has meant many self confessed "Technophobes" have grabbed the technology with both hands and run with it. The concept that ArcPad is for experienced GIS Professionals alone has surely been put to bed by this live, real time, field deployment! Additionally, operational commanders are now getting more up-to-date data and are able to more closely analyze the search and recovery program using the powers of ArcGIS as part of the overall Operation. 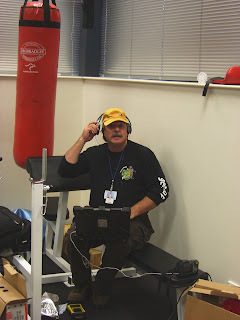 Tom Patterson, ESRI Wildland Fire Specialist has spent three weeks on the ground in the fire zone assisting local command and operational staff with many aspects of the operation and has kept us up to date with many video reports - including the "eureka" moment of the first successful data synchronization! See Tom's recording of the historic moment below. ArcPad 8.0 has a new look and feel with higher resolution modern icons, and toolbars that use less screen real estate than in previous versions. The new ArcPad Toolbar Manager can be used to either modify the out-of-the-box toolbars or to create your own. The old ArcPad Startup dialog has been replaced by the Open Map dialog, which can be used to browse ArcPad maps by list or thumbnail. The GPS position dialog has been replaced by the new GPS status bar, a translucent toolbar at the bottom of the map screen showing much of the detail from the old position dialog.Using color visual cues to indicate the quality of the GPS fix, it also shows more detailed GPS position information on the full screen multi-tab GPS dialog. The ArcPad Data Manager now gives you more options when preparing data for ArcPad. You can use ArcMap to get data for ArcPad immediately, configure an ArcPad project for repeated use with geoprocessing tools or author an ArcPad project for publication to ArcGIS Server and subsequent use in ArcPad. The ArcGIS Server ArcPad Extension allows you to publish an ArcPad project to ArcGIS Server, which can be used in ArcPad 8.0. Any device that can connect to internet (by cradle, USB, WIFI, or phone connection)can synchronize ArcPad edits directly with the enterprise geodatabase via ArcGIS Server. 8.0 StreetMap provides an easier method to find addresses and locations using the new lookup index. In addition to the TeleAtlas Premium North American dataset, ArcPad 8.0 is bundled with Tele Atlas Premium Western Europe StreetMap data as well at no additional cost to the customers.